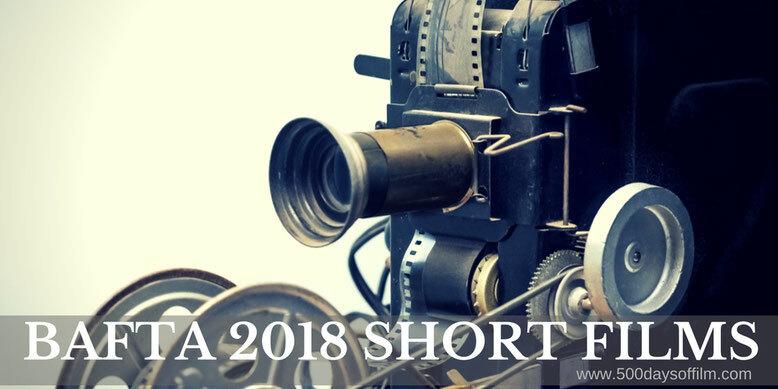 Best Short Film and best British Short Animation are two of the toughest categories at the 2018 Bafta Awards. The eight nominees - Aamir, Cowboy Dave, A Drowning Man, Work, Wren Boys, Have Heart, Mamoon and Poles Apart - are all superb examples of the power and potential of the short film genre. I am ashamed to admit that I rarely watch short films. I’m really not sure why. However, when I do, I am always amazed by the experience. In a matter of minutes, short film writers and directors can present a story with as much depth, complexity and meaning as any feature length movie. This year’s BAFTA Shorts (which you can watch at Curzon cinemas and via Curzon At Home) are all brilliant. Many of the nominees explore the impact of immigration (Mamoon, A Drowning Man and Aamir) while others follow the lives of the desperate and disillusioned (Cowboy Dave, Work). All of the films share one key feature - they include characters in desperate need of help. As a result, most of the nominated films are tough to watch and feature thought-provoking and often heartbreaking stories. It is somewhat of a relief, therefore, to watch animation award contenders Have Heart (about a looping GIF that is having an existential crisis) and Poles Apart (a hilarious animation about a hungry polar bear). One thing is for certain, I don’t envy the BAFTA judges their task of choosing the winners. Synopsis: 13 year old Aamir is stranded alone in the largest unofficial refugee camp in Europe. When he is befriended by Katlyn, a thinly stretched volunteer, she becomes Aamir's last hope for salvation. Aamir is the disturbing story of a desperately vulnerable young boy. This movie has stayed with me ever since I watched Vika Evdokimenko’s superb short film. Not only is it utterly heartbreaking to see Aamir ripped from his family, his experiences at the unofficial refugee camp are horrendous and deeply upsetting. Synopsis: A young boy's life is changed by a chance encounter with an out of luck musician. When a gang of local criminals turn up, the day takes an unexpected turn. Full of dread (reminding me of that scene between Dennis Hopper and Christopher Walken in True Romance) and featuring a superb central performance from Sam Spruell, Cowboy Dave is a semi fictional retelling of an encounter director Colin O'Toole had as a 12 year old boy with Dave Rowbotham (Durutti Column, The Mothmen) who was known to some as Cowboy Dave. Synopsis: Alone and far from home, The Kid makes his way through a strange city looking for the means to get through his day. Surrounded by predators he is forced to make compromises merely to survive as his life of exile grows one day longer. In just 15 minutes, Mahdi Fleifel’s stunningly cinematic A Drowning Man conveys both the hopelessness and the desperation felt by a refugee who, having risked everything to leave his home, finds himself in danger once again. Like with Aamir, A Drowning Man forces us to think about immigration from the intimate perspective of The Kid. The film puts us in The Kid’s shoes - a deeply uncomfortable place to be. Synopsis: A teenage dancer’s perspective of the world around her begins to shift as she is confronted with its capacity for injustice. Alongside Aamir, Work is the Bafta Short film that has haunted me the most. This is a powerful and unsettling story from writer/director Aneil Karia. Featuring a superb central performance from Jasmine Breinburg, Work reminded me of the early films of one of my favourite directors, Andrea Arnold. Synopsis: On the day after Christmas, a Catholic priest from Cork drives his nephew to prison. Harry Lighton’s shocking and thought-provoking short film features a story that plays with our assumptions and expectations. The shortest of the category’s nominees, Wren Boys explores the toxic nature of hate and the devastating impact of violence. Synopsis: A looping GIF has an existential crisis. Synopsis: The story of a mother who, along with her infant child, is forced to leave her home when mysterious dark shadows envelope the light in which they exist. As her own light begins to fade, she is forced to use the mysterious red light to save her child. Inspired by the plight of families in Syria, Mamoon is a powerful and visually stunning movie told using projected animation on to real, polystyrene film sets. Of all the animated shorts, Mamoon stands out thanks to the striking nature of its visual aesthetic. In a harsh Arctic landscape, a hungry and solitary polar bear has to decide if a naïve Canadian grizzly bear is her food or her friend. Poles Apart is a charming and funny stop motion animation using furry ball-and-socket armature puppets (wonderfully voiced by Helena Bonham Carter and Joseph May). The filmmaking process is as fascinating as it was painstaking - each day yielding only approximately four seconds of footage. While Paloma Baeza’s story is a relatively simple one, her film also explores loneliness and important environmental themes. Of all the films in these two Bafta categories, Poles Apart was, for me, the most enjoyable. Do You Love Short Films? Do you enjoy short films (animated or otherwise)? If you do, what short films would you recommend? Let me know in the comments section below or via Facebook or Twitter (@500DaysOfFilm). Click here To Subscribe to our Free Film Magazine! available but may not be correct.